While I was growing up, my mother would never buy canned food (with the only exception being tuna)… we have always eaten “real” fresh food, often bought at the local market. It is quite common in Italy and I still try and do the same here in Australia. The only time I had canned soup was during one of our holidays. We were in Denmark and I remember arriving late in the evening in a little village… there were no restaurants open and we managed to buy a couple of cans of soup and some bread from a little supermarket. One of the cans contained Cream of Mushroom Soup. And it was love at first spoonful! I have always loved mushrooms, so this was bound to impress me. When we went back to Italy, we started to make a home version of the soup we had eaten in Denmark and let me tell you… it tasted so much better than the canned one! We added an Italian twist to it, as we use some porcini too. 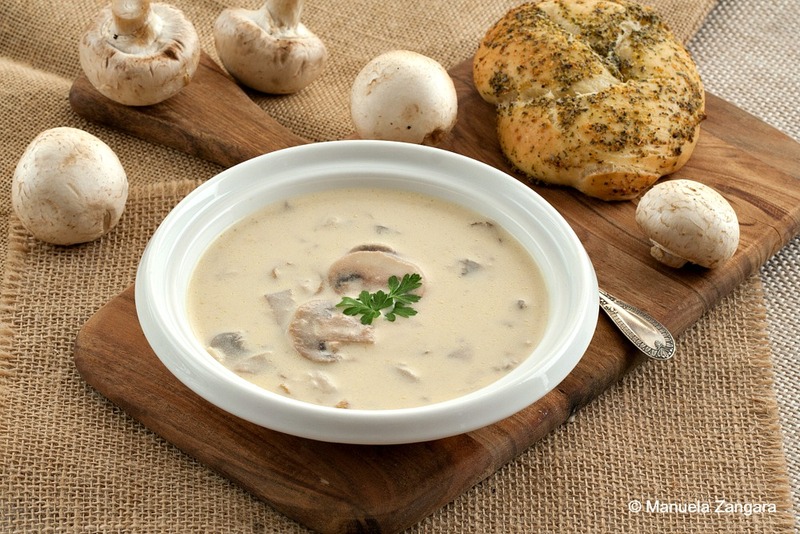 I find that they add a stronger mushroom taste to the final dish and I highly recommend you use them if you can find them. 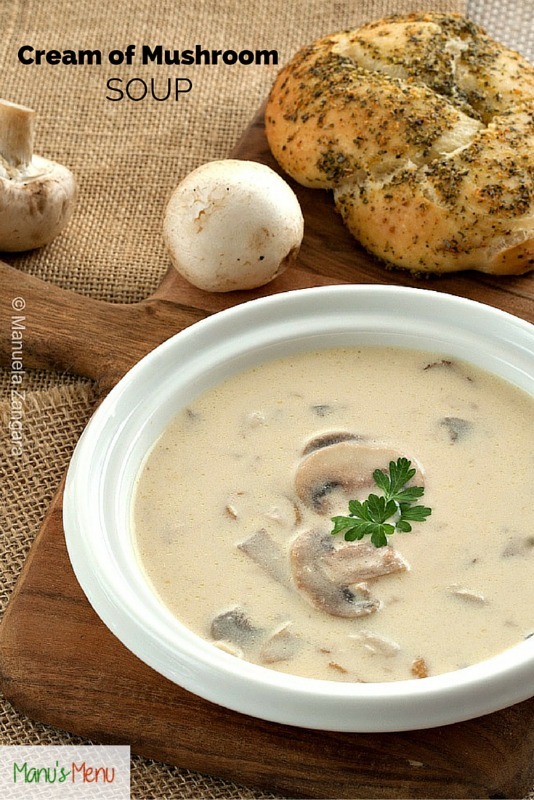 I love to serve this soup with my Garlic Knots, as garlic and mushroom is a match made in heaven! Try it and let me know! 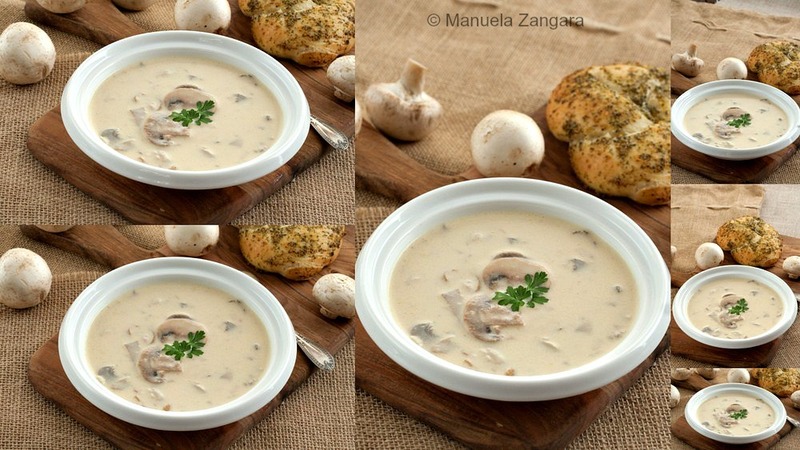 Cream of Mushroom Soup, with an Italian twist - so much better than the store bought one! Gently fry off the chopped onion and garlic in the butter. 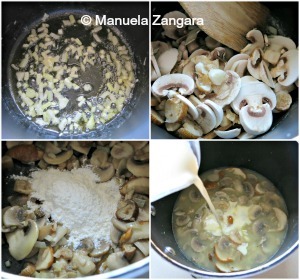 When they are soft, add the sliced mushrooms and mix well. Add 2 tablespoons of flour and mix well. 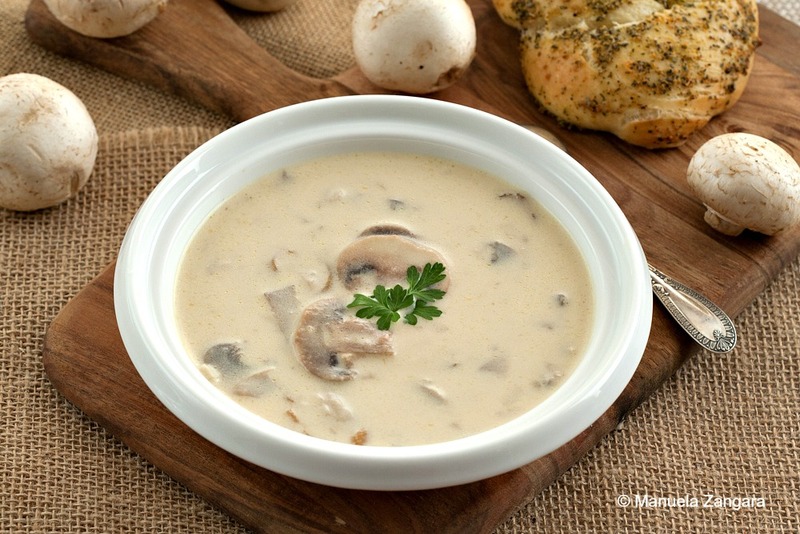 Melt the remaining tablespoon of flour in the cream and add the cream to the soup. Mix until incorporated. Add salt and pepper and cook for 5-8 minutes, stirring frequently. Serve hot with some chopped parsley (optional).